What Is Yellow Journalism And What Does It Have To Do With The Spanish American War? Yellow journalism is the term used for a style of journalism based on presenting sensationalized news to try and make the newspaper more exciting, with the ultimate aim of luring more readers and increasing circulation. Imagine opening the newspaper in the morning to find a myriad of stories splashed across its pages. You see a lot of crime headlines and think, “Our city has become so unsafe”. Over the next few weeks, they stop printing as many stories about crime and you suddenly feel safer again. The media, in its various forms, is a time capsule—it captures the world in words and images at one particular moment. It shows us the current situation of the city, country and world we live in, while also shaping the way we feel about everything. In addition to reporting the news to the current audience, it also captures the moment for posterity. 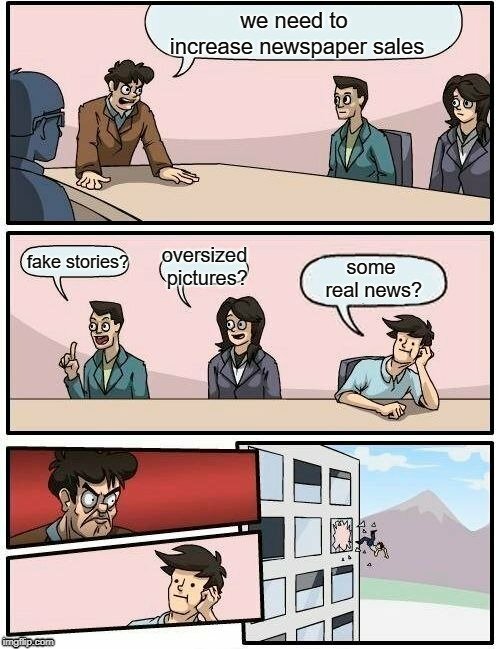 Thus, the media is not only in a position to shape what we believe today, but is also capable of perpetuating a distorted image of today’s events for generations to come. Yellow journalism is the term used for a style of journalism based on presenting sensationalized news to try and make the newspaper more exciting, with the ultimate aim of luring more readers and increasing circulation. It uses eye-catching, multicolumn headlines, oversized pictures and dominant graphics, and is often based on distorted or incomplete facts. 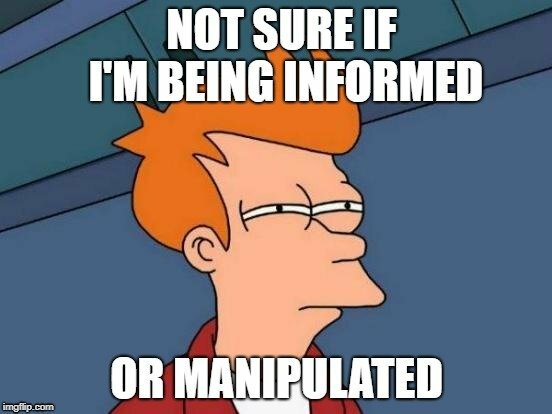 It often cooks up fake stories and interviews that tap into emotions and entertain, rather than educate. The question is, why is this sensational style of reporting called yellow journalism? 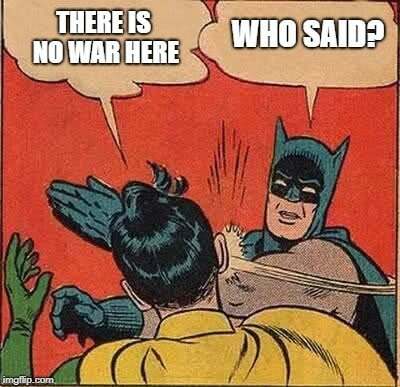 The answer lies, as it so often does, in history. The concept of a sensational press expanded considerably during the late nineteenth century. Media moguls wielded a lot of power and influenced politics in a major way through their newspapers. They painted a picture of national and global events in a way that would ensure that the public took a particular side. The two men accredited with the rise of this type of journalism were arch-rivals, Joseph Pulitzer of the New York World and William Randolph Hearst of the New York Journal. In a heated battle for the readers’ dollar, the two men printed exaggerated headlines loaded with excitement and semi-fabricated stories. Pulitzer’s publications came with a cartoon strip called “Hogan’s Alley”, created by the cartoonist R.F. Outcault, of whom Hearst was a huge fan. 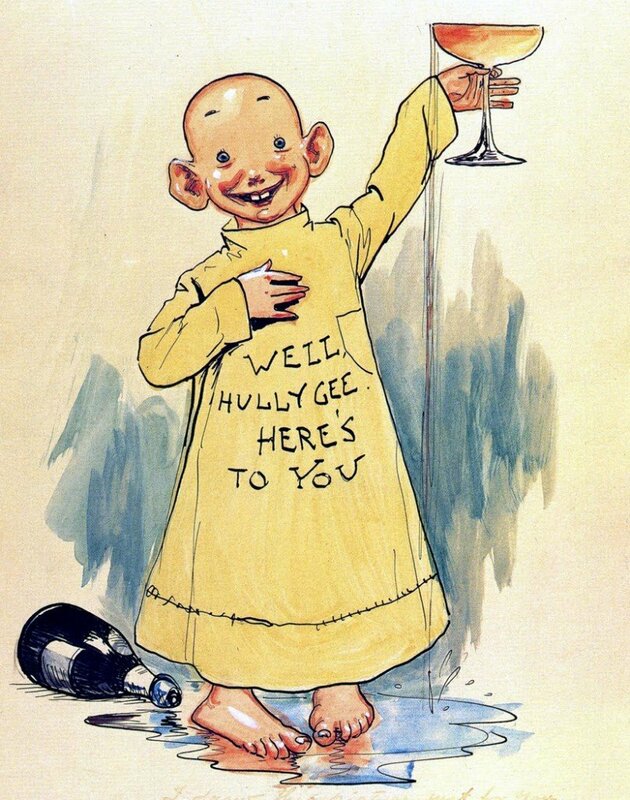 This cartoon, and especially the main character ‘Yellow Kid’, became one of the many objects fought over between Hearst and Pulitzer during their long rivalry. Hearst later hired Outcault away from Pulitzer. However, unwilling to give up his trademark cartoon, Pulitzer hired another cartoonist to imitate the character, resulting in two Yellow Kids, perfectly symbolizing the rivalry between the two papers. With so much competition, the news became more and more dramatized, so as to stir the most interest in the public and sell more newspapers. The Yellow Kids were used to sensationalize news and bring disrepute to other newspapers. This widely publicized rivalry led to the label ‘Yellow Journalism’. Cuba had long been a Spanish colony, but the revolutionary movement in Cuba, which had been simmering gently for most of the nineteenth century, intensified during the 1890s. Hearst played a major role in the American involvement with Cuba, as the war was a prime opportunity to boost newspaper sales. He published a stolen private letter (the Dupuy de Lôme letter) on February 9, 1898, written by the Spanish Ambassador to the Foreign minister of Spain, which contained unflattering remarks about then-President McKinley. This increased the hatred of the American people towards Spain, feeding their willingness for war. On February 15, an explosion tore through the hull of a U.S. battleship, the Maine, causing it to sink in the Havana harbor. More than two hundred men lost their lives in the incident. The cause of the explosion was undetermined, but Pulitzer and Hearst, who had been thriving for years by fanning anti-Spanish public opinion in the United States, published rumors blaming the Spanish for plotting the explosion. The rise of yellow journalism created an environment conducive to an international conflict. Prompted by increased pressure for intervention, President McKinley declared war against Spain in April. 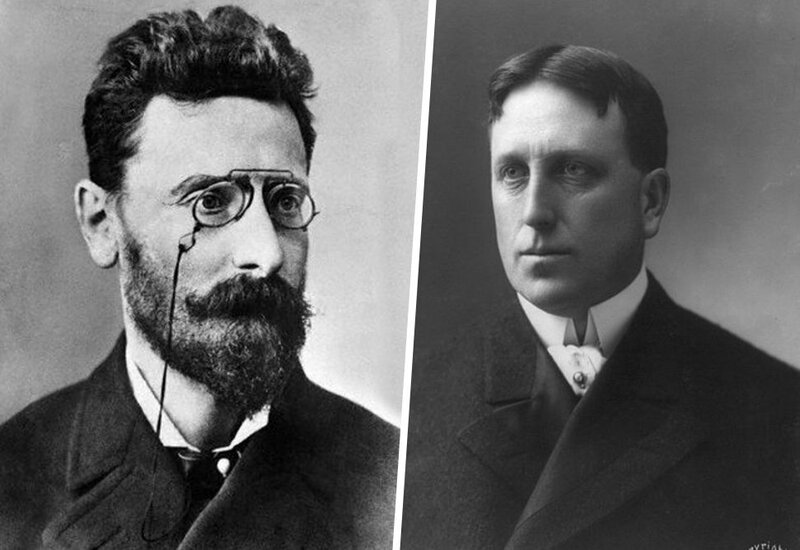 Pulitzer and Hearst finally reached their goals—increased circulation, higher profits and war. Yellow journalism in the late nineteenth century was characterized by headlines that often stretched across the front page, the generous and imaginative use of pictures, graphic representations, the Sunday supplement, bold and experimental layouts sometimes enhanced by the use of color and other innovative techniques. There was a huge tendency to rely on anonymous sources and fake stories, as well as a penchant for self-promotion. However, most of these characteristics faded after the turn of the twentieth century. A formal code of conduct for print journalism was introduced in 1911 to ensure more ethical media coverage. 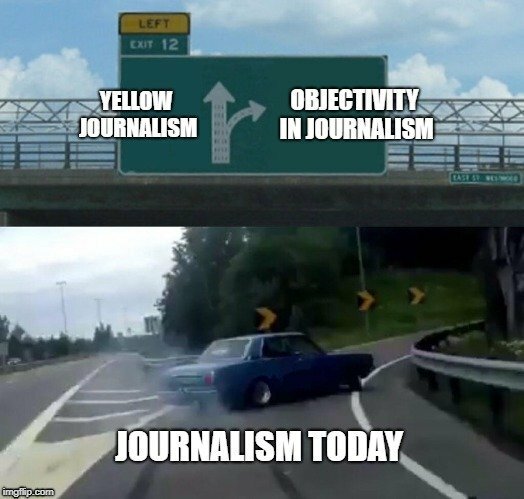 Objectivity became a formal term in journalism following World War I, which began an era of independence, factuality and impartiality in news reporting. In spite of this, the characteristics of yellow journalism have not been completely lost. It progressed past its blatant and dishonest ways of reporting, but some of its other contributions remain, such as banner headings, heavy use of pictures, tabloids and the Sunday supplement. Yellow journalism, which originated in the nineteenth century, continues to live on today, particularly in the “fake news” crisis of the past few years. 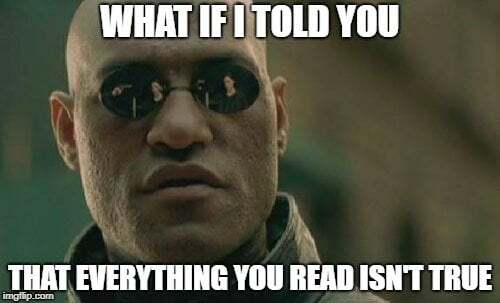 Reading multiple sources of information and seeking the truth from reliable news outlets is the personal responsibility of every single person, provided you wish to be knowledgeable and avoid looking ignorant in front of your peers!